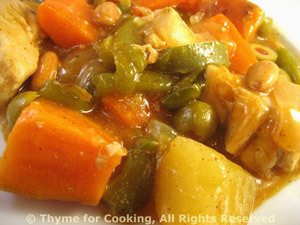 Moroccan Chicken Stew, Healthy Weekly Menu Plan. This was my first foray into the cuisine of North Africa. I decided it was time to expand my horizons. It's an easy winter dish - 15 minutes to get together, then 30 to simmer.